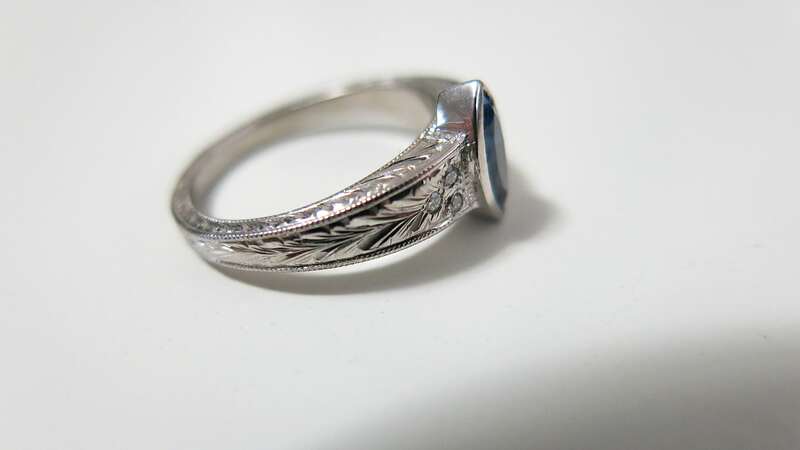 This Hand Engraved Bezel Set Engagement Ring comes out of the casting as a plain, boring ring. 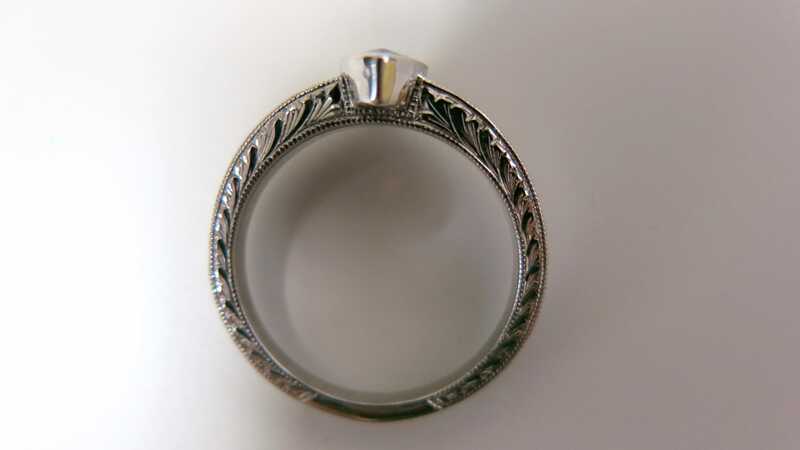 Hand engraving transforms it into something far more spectacular, hearkening back to the days when all jewelry was made by hand…a lost art these days. ACCENTS: Around 1/10 TCW. Due to the size, these can only be Diamonds, CZ, Emerald, Ruby, and Sapphire. 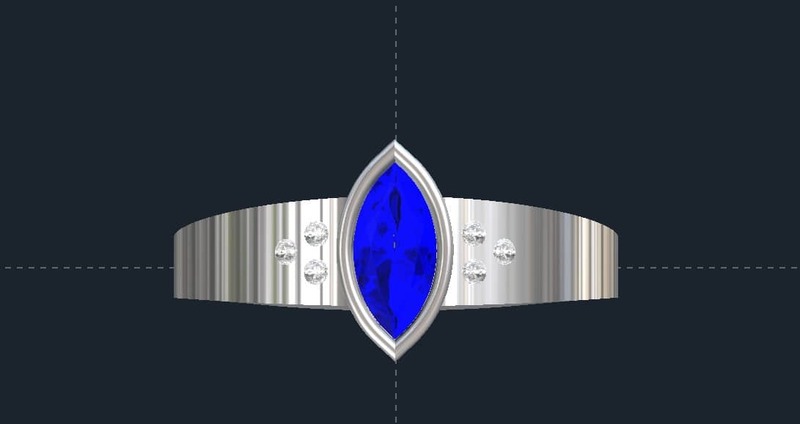 Click HERE to see other Bezel Set Engagement Ring designs. Click HERE to learn more about custom jewelry, to see our portfolio, or to contact us about a Custom Hand Engraved Bezel Set Engagement Ring. It can cost less than you think to have your very own custom engagement ring made just for you. Why hassle with the retail stores for boring and overpriced engagement rings?